February brought record low temperatures to the Salmon River corridor, which led to almost no runoff into the system. In fact, a portion of river was froze over, bank-to-bank, which I’ve never seen happen in my 17 years up here. While there are always guys that were fishing even through the cold, pressure was the lowest we’ve seen in more than a decade. In the last 10 days temperatures have returned to normal and I’ve been able to get out on the water most of the last two weeks. Water levels haven’t increased yet and we’re still finding a lot of pre-spawn steelhead that are maintaining their position in their winter spots. Our spring pattern might be close, but hasn’t started yet. For the last month the entire lower river was locked up with ice. You couldn’t even see water. It looked like a field. Fortunately, that the ice is breaking free and we’re noticing a small push of fresh steelhead into the river. The number of fresh steelhead entering the Salmon River should only increase in the next few weeks. March is typically one of our toughest months of the year, due to pre-spawn and cold water. We normally see a ton of runoff, which can make fishing tough. 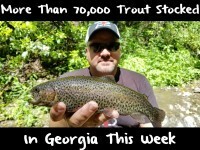 However, we are hooking 8-10 steelhead a day, on average, and I’m hoping this continues for a few weeks. 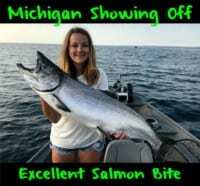 Keep in mind, there aren’t any downriver fish yet and I’m not expecting any for a while. This time of the year our steelhead are usually are egg-ed out because they’re been seeing it all day since November, but the lack of pressure has altered that some. Normally, I’m running fresh skein, but I’ve been running cured BorX O Fire brown trout eggs and they’ve been out-fishing the raw stuff. I didn’t have a single bite today on the fresh eggs. All of my fish have been coming on Natural BorX O Fire cured brown trout and steelhead eggs. Honestly, I have four different eggs in my boat right now. I have raw steelhead eggs and three different kinds of BorX O Fire cured steelhead and brown trout eggs. Recently, we’ve been getting the most bites on blue netting and I’m fishing all the sacks on No. 10 Raven Sedge hooks. Due to our clear water I’m using a lot lighter leader than normal. We’ve dropped down to a four-pound Suffix fluorocarbon beneath eight-pound Suffix Tritanium. As cold as the water is I’m looking for the deepest, slowest water we can find. The steelhead aren’t expending much energy right now and you need to aim to make perfect drifts. They aren’t going to chase a bait this time of the year. You’ll have to put it right on their nose. With this said, in another two to three weeks, depending on water temperatures, the steelhead will start to finish spawning and will turn on their feeding machines gobbling up just about anything you put in front of them. It might be tough now to generate strikes, but as soon as they start coming off their spawn they’ll be more willing to bite. Editor’s Note: Andy Bliss operates Chasin Tail Adventures in Upstate NY. 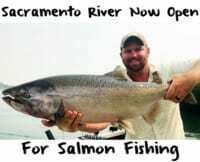 For more information on his Salmon River steelhead drift boat trips please visit http://chasintailadventures.com/.